For those of you who’ve ordered from us before, you might have noticed we include a card with a drawing and Spanish word on it. They’re Loteria cards, part of a game similar to bingo if the U.S. version of bingo were aesthetically pleasing and told a story. The cool thing about Loteria is that it can change depending on the context; if it’s in a church, for instance, a tamer version might be played. Other versions might be more risque and satirical. Some of the Loteria cards we don’t feel comfortable including in packages. While one person might enjoy the skeleton with a crossbones, someone else might find it a little too bizarre to find with their jewelry. 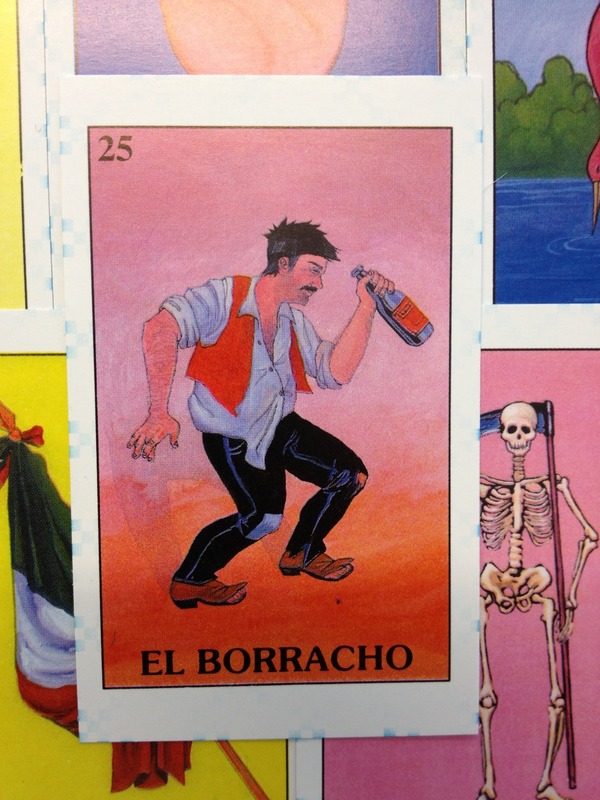 We’re doing a miniseries based off the cards that we don’t give out because, while some of them are humorous (see: el borracho), they could be offensive to some. A que borracho tan necio ya no lo puedo aguantar. I cannot put up with this foolish drunk. This wallet via Mastoks Handcrafted Wallets on Etsy uses El Borracho as inspiration.